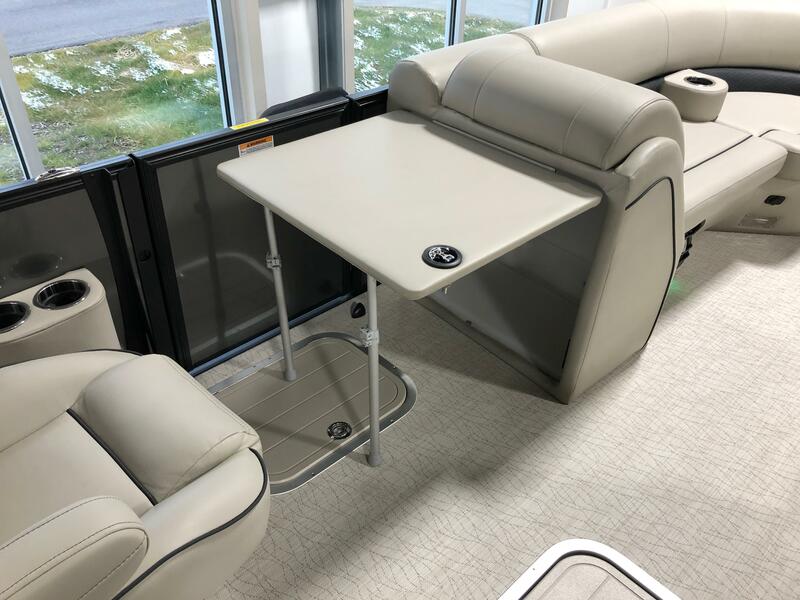 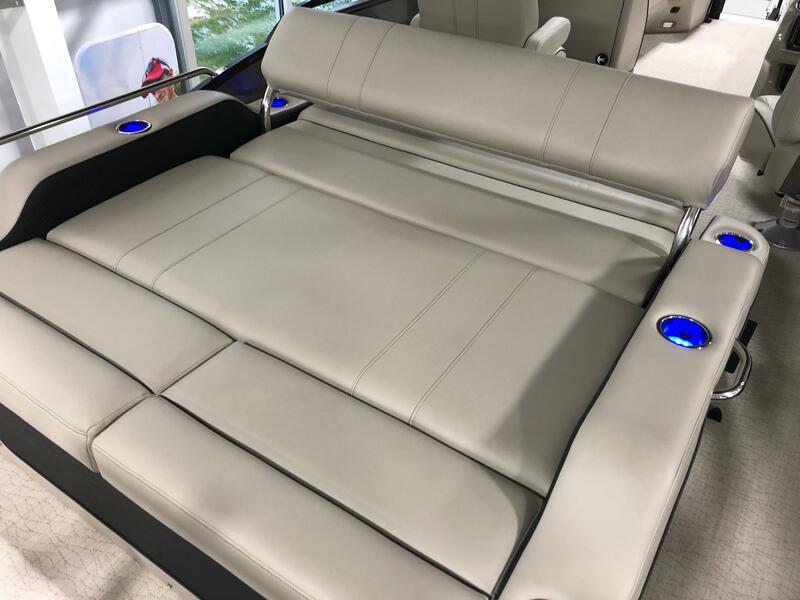 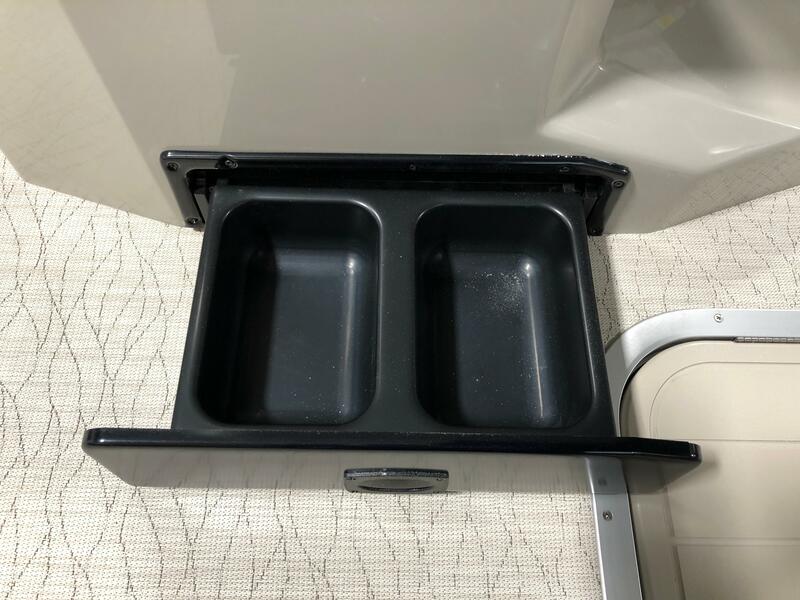 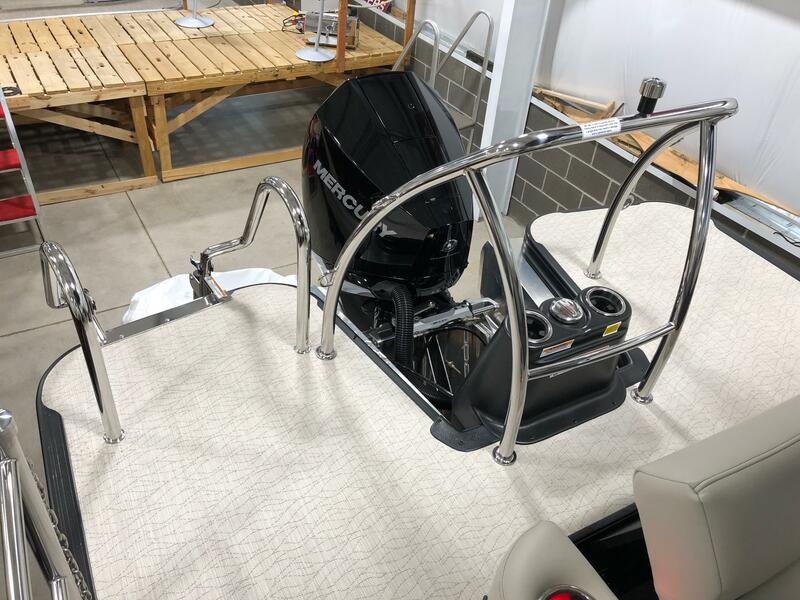 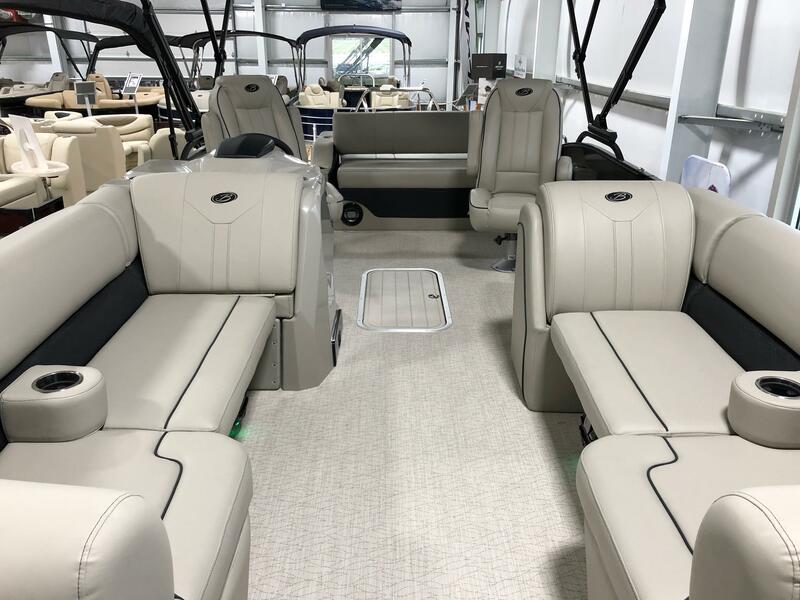 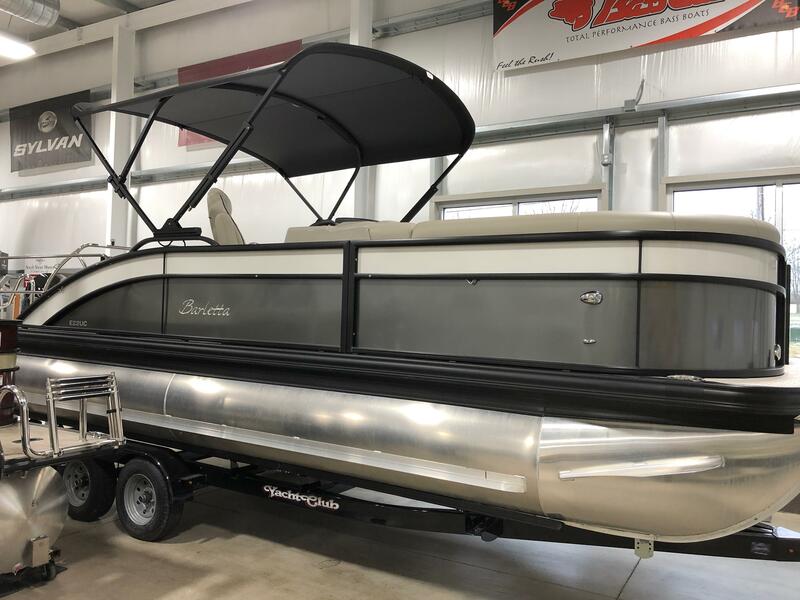 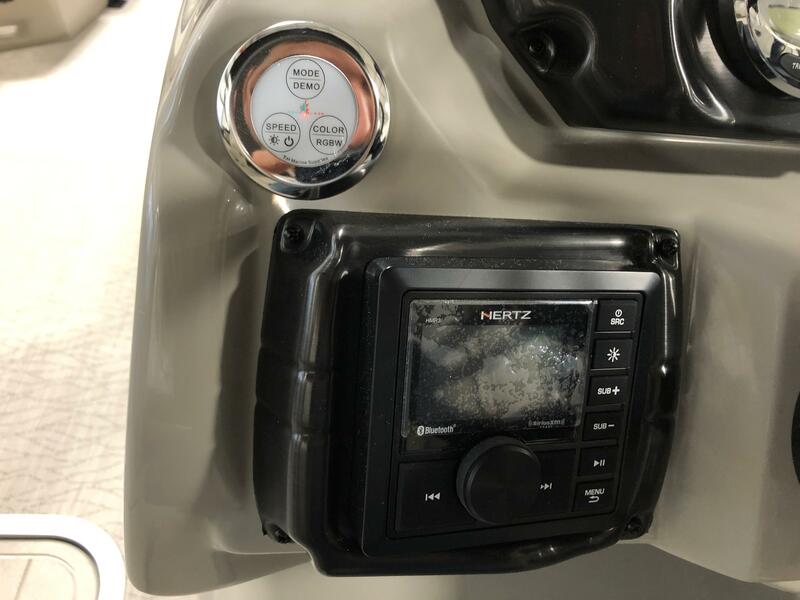 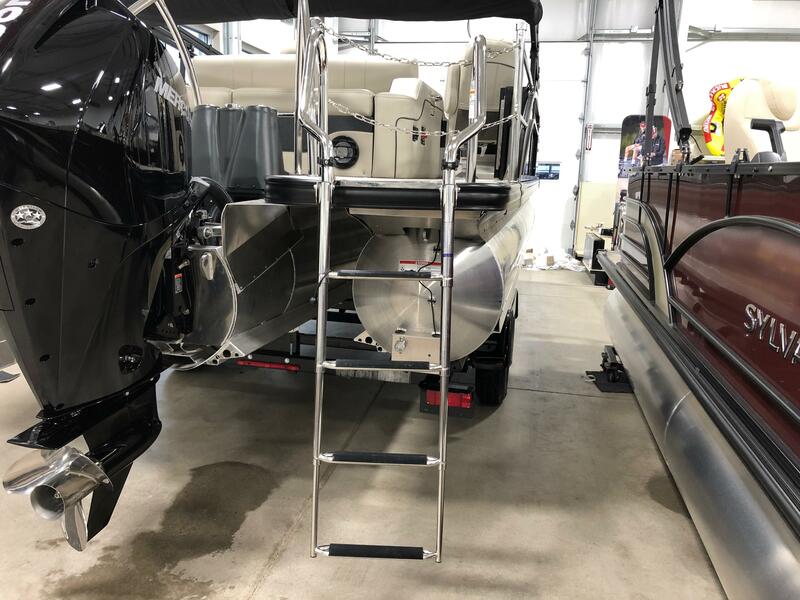 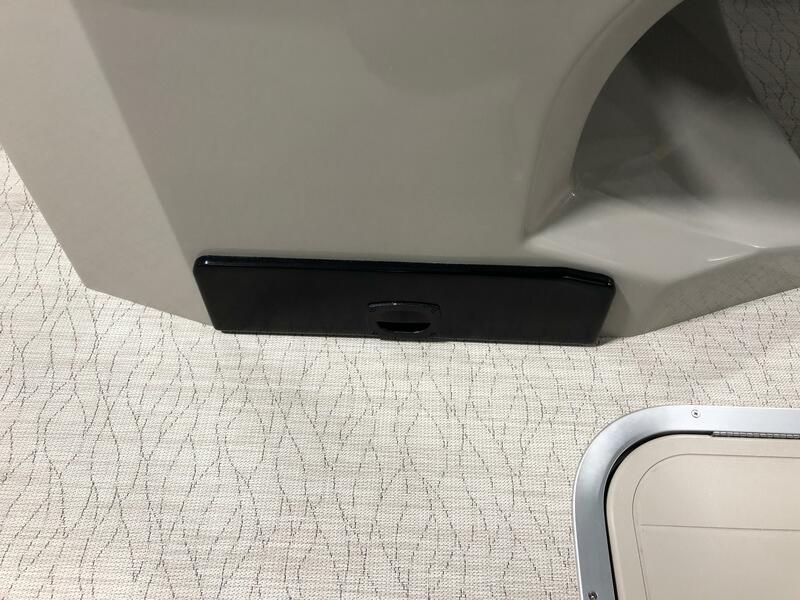 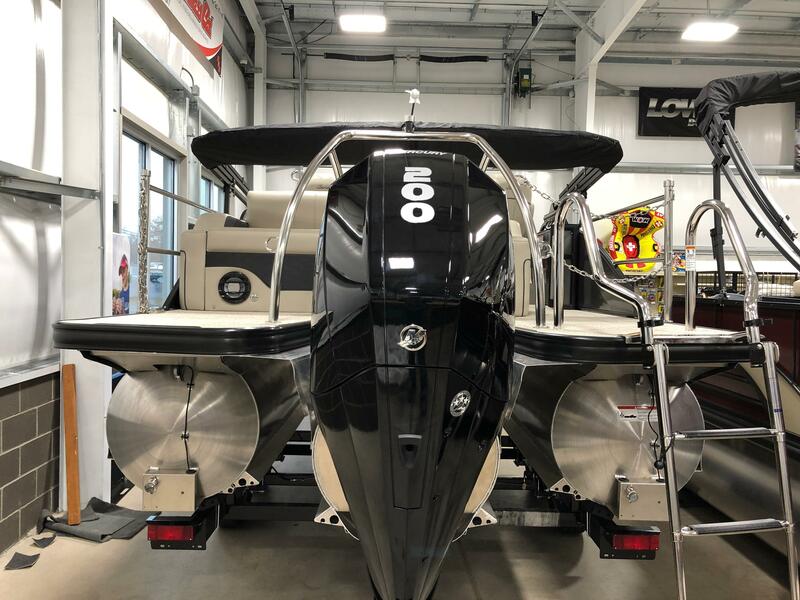 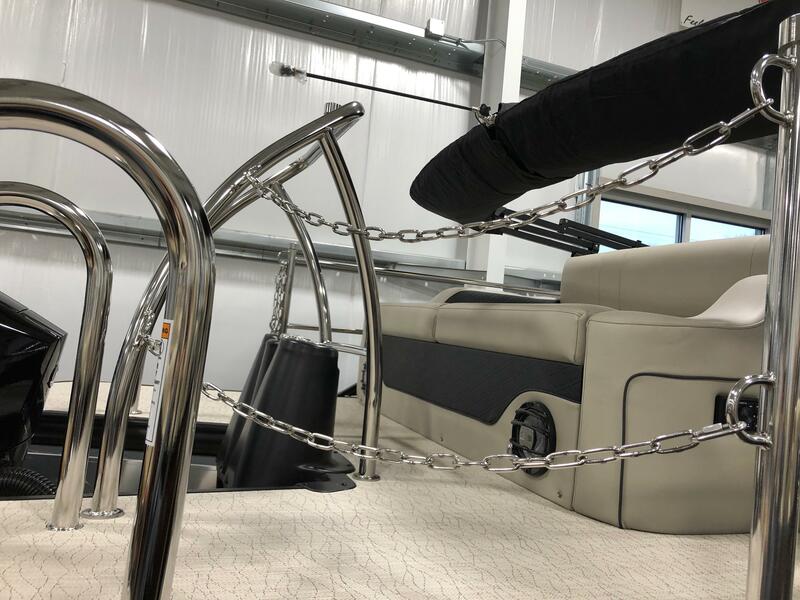 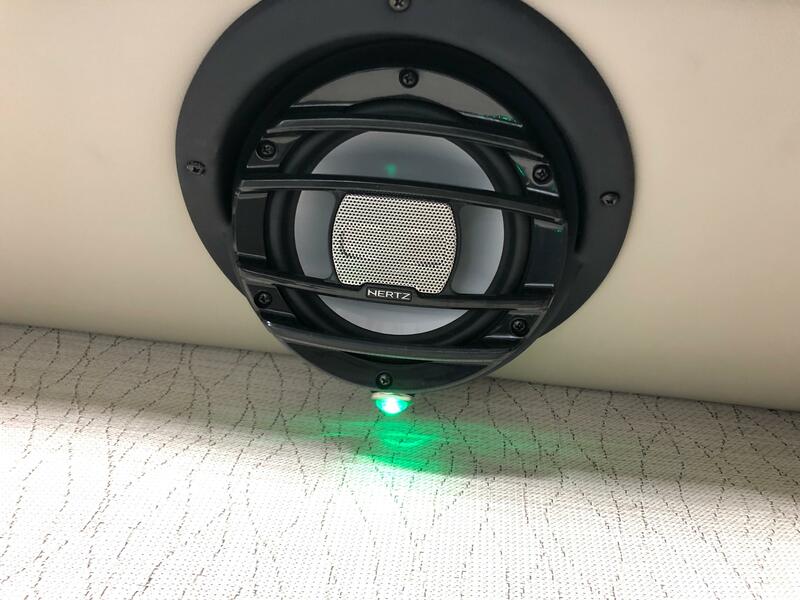 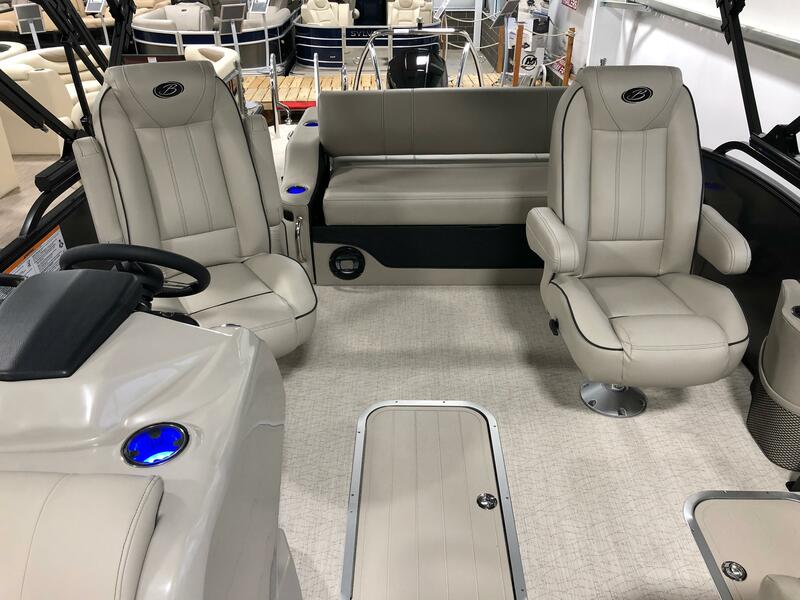 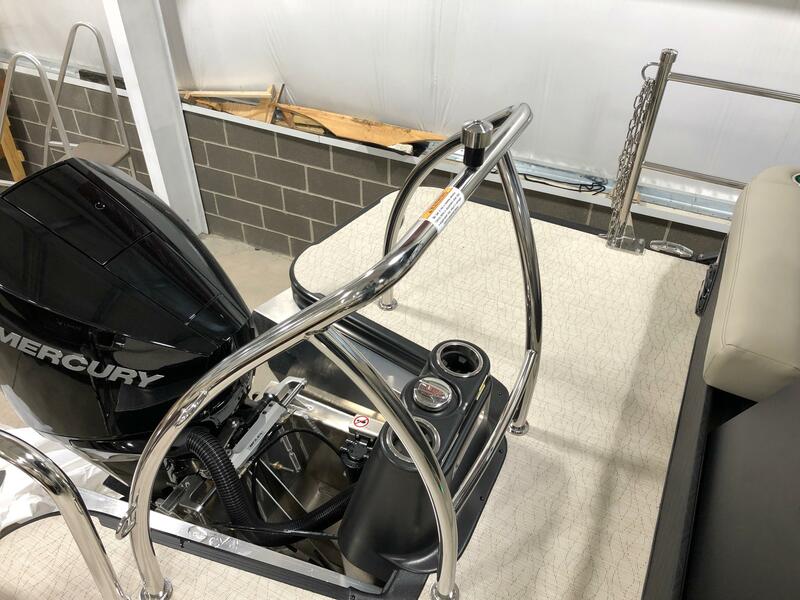 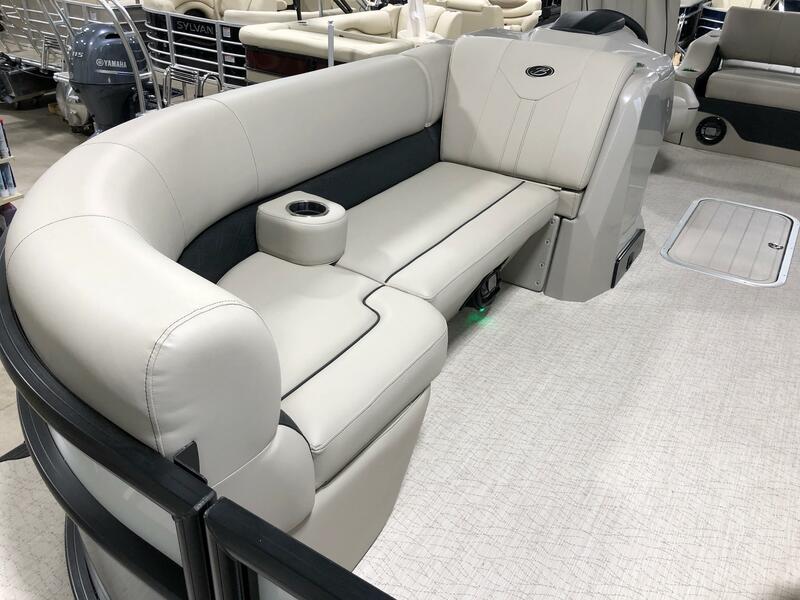 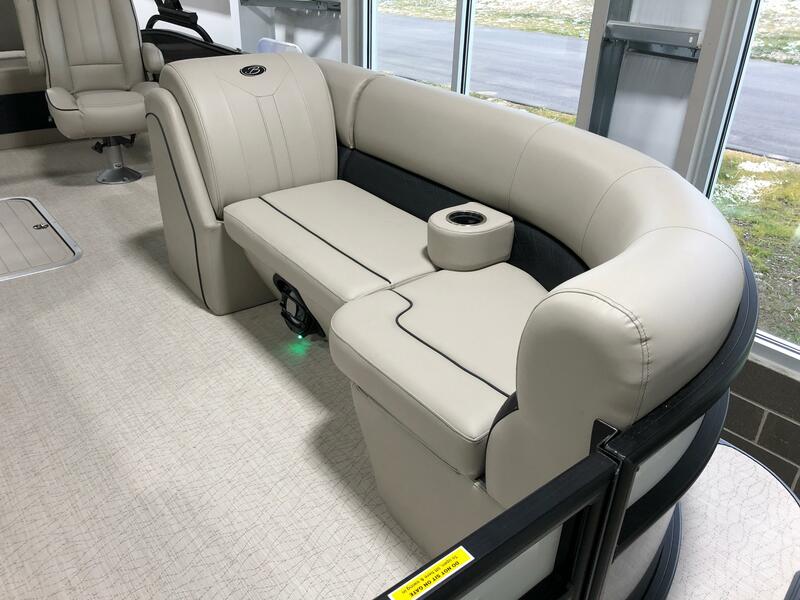 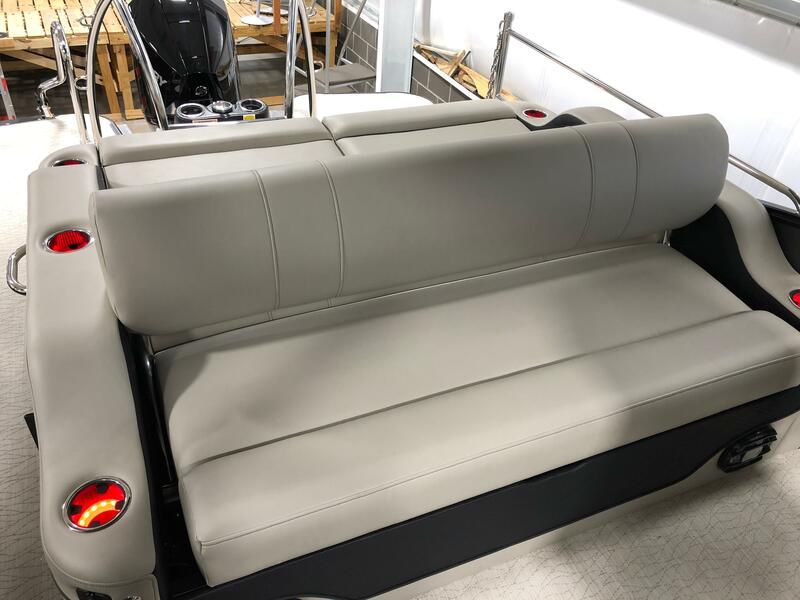 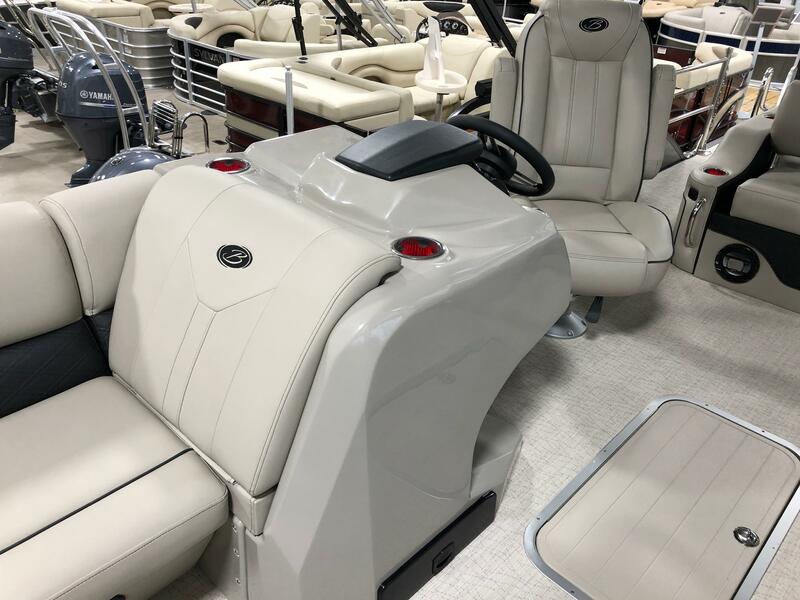 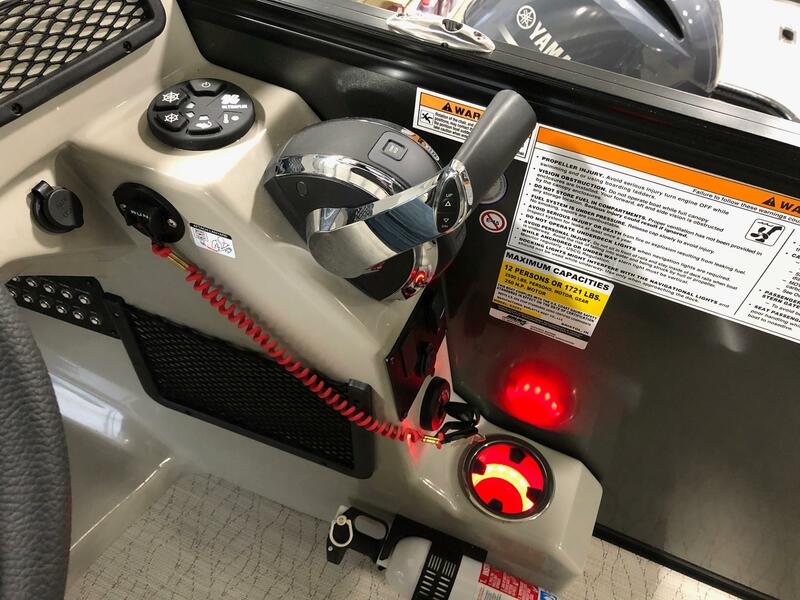 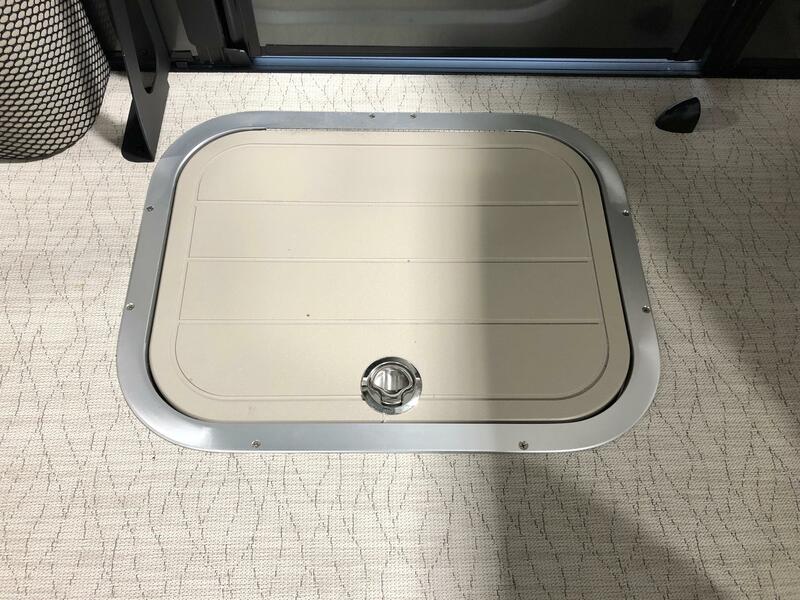 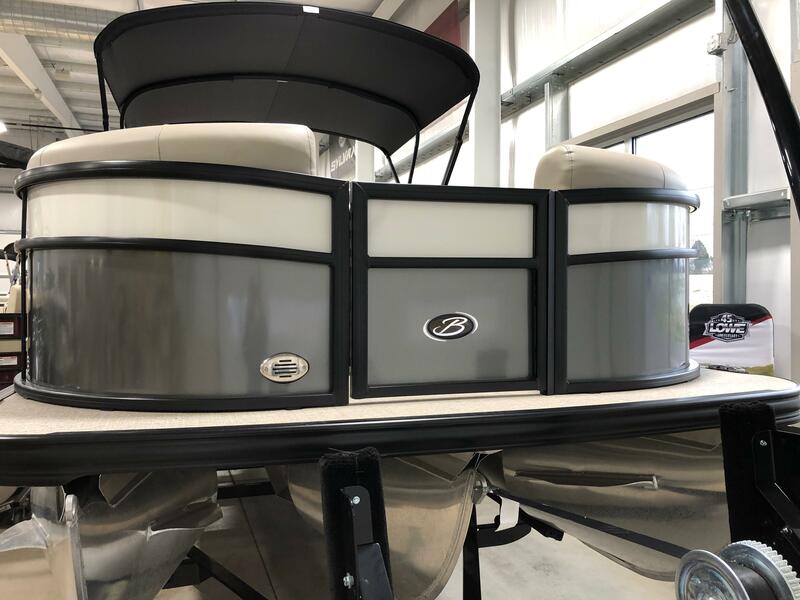 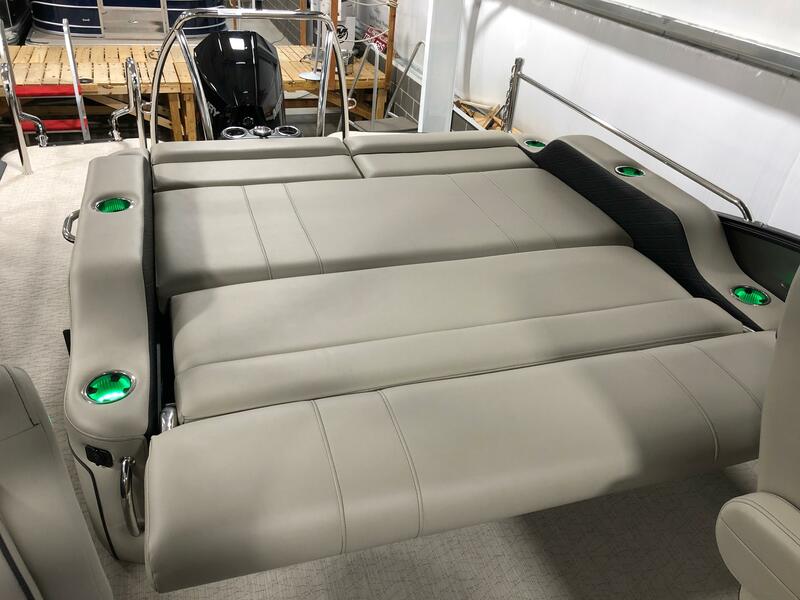 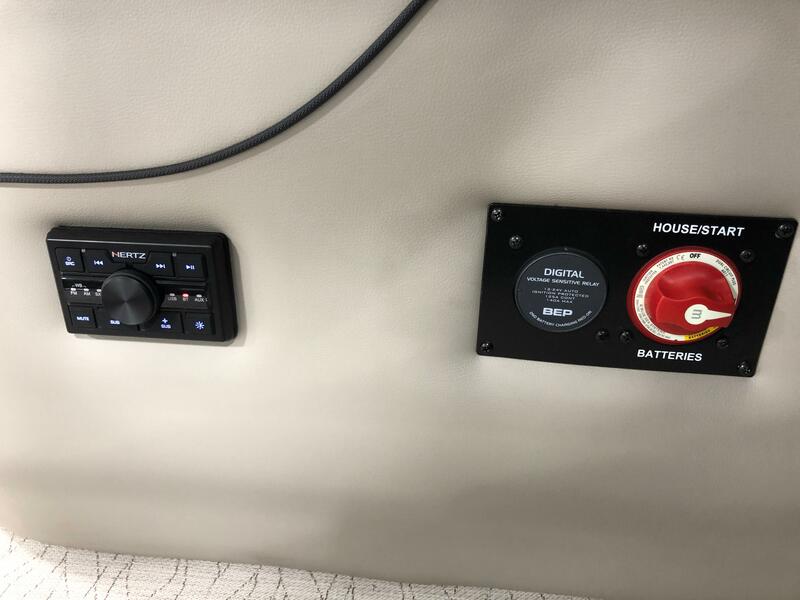 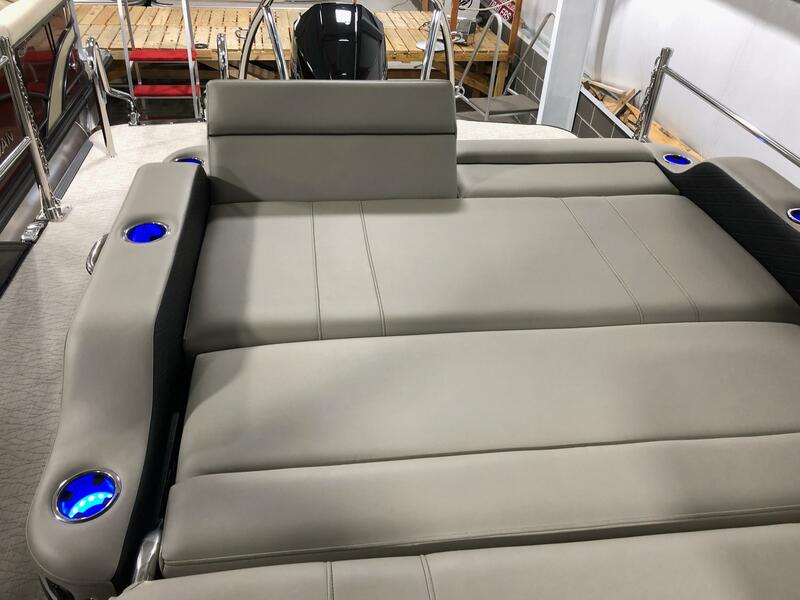 Here is a 2019 Barletta E22UC pontoon boat. 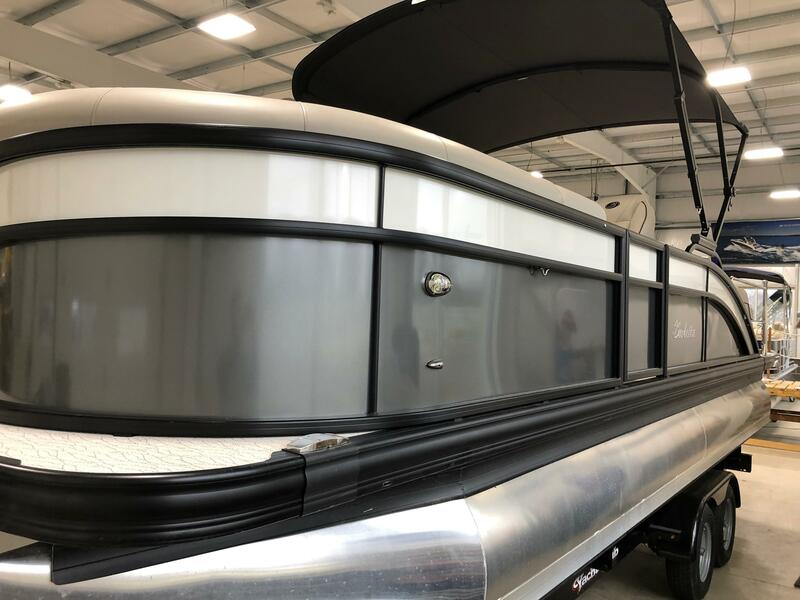 The E22UC measures in at 24 feet 6 inches long, has a 102 inch beam, carries up to 12 people and 48 gallons of fuel. 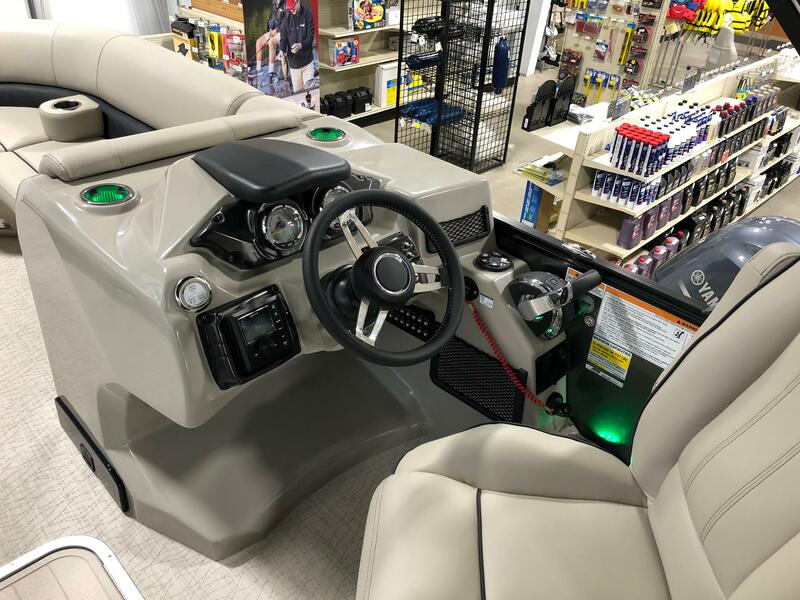 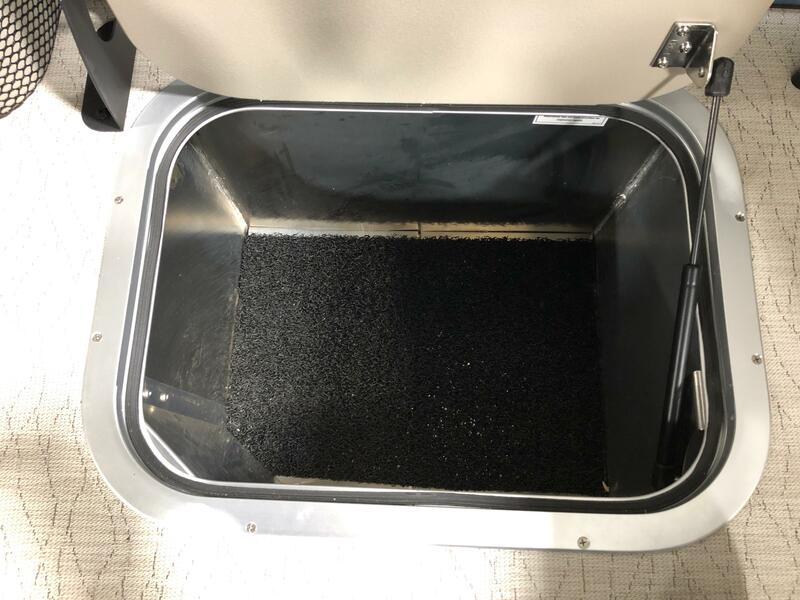 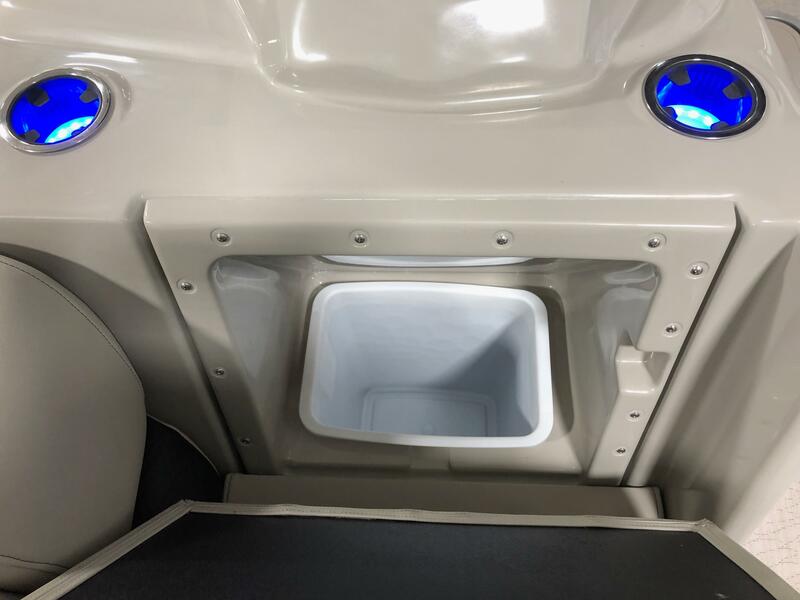 This unit has been upgraded with a full tri-toon package, Black out package, in-floor cooler compartment, in-floor ski locker, interior RGB light package, both underdeck and underwater lights, upgraded flooring, stern stereo control, stainless steel stantions and chains, digital controls and power assist steering. 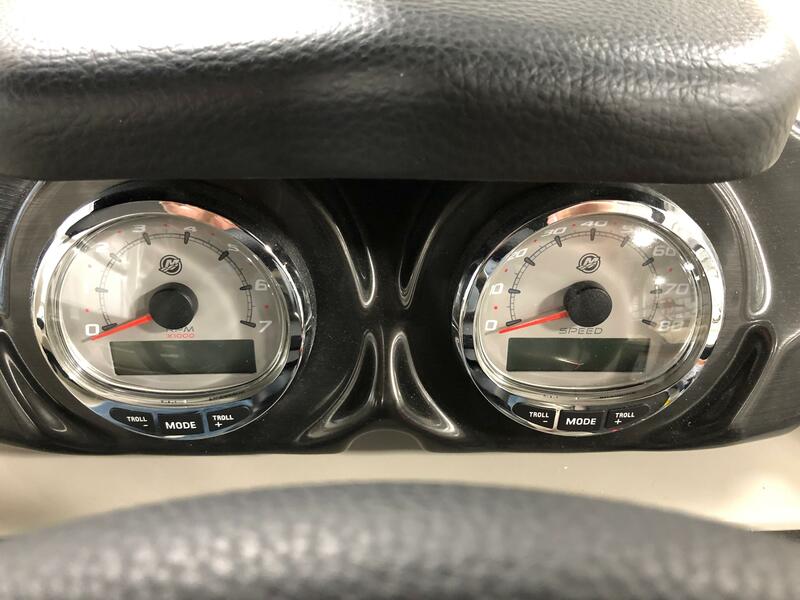 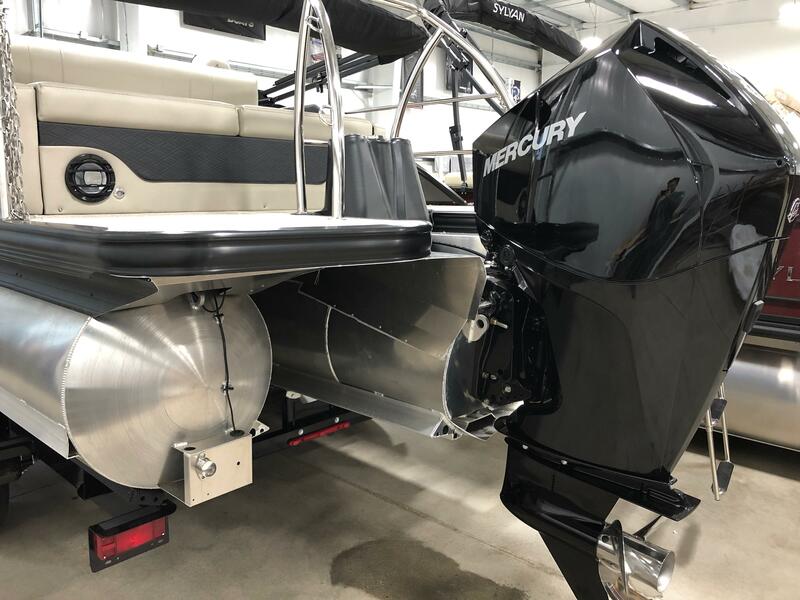 This unit is powered by a Mercury 200 hp 4-stroke outboard. 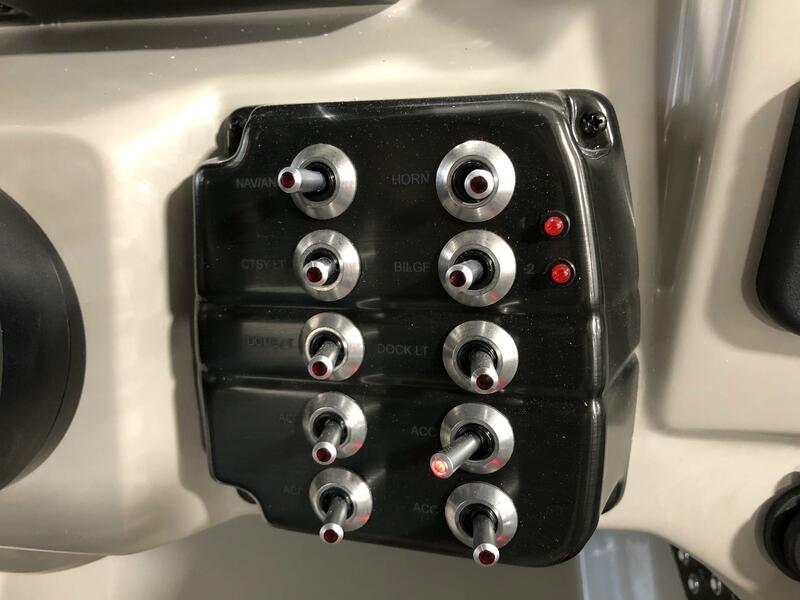 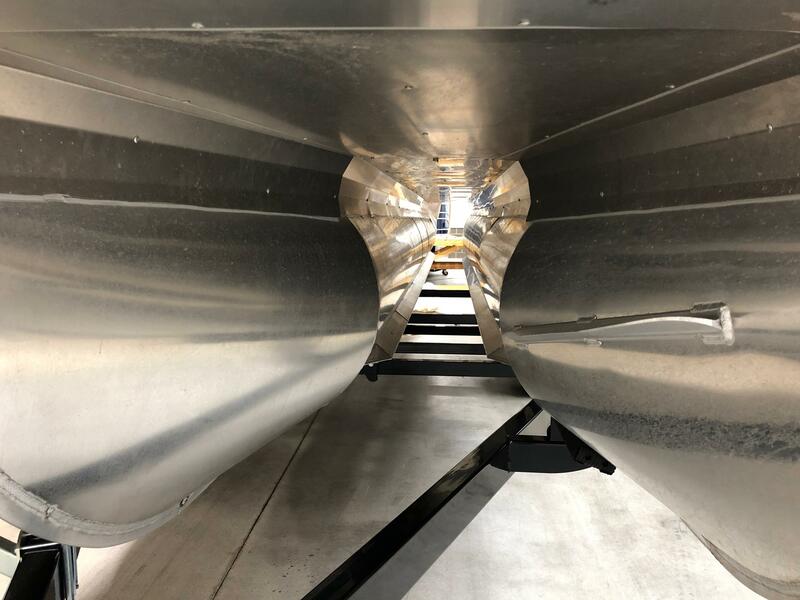 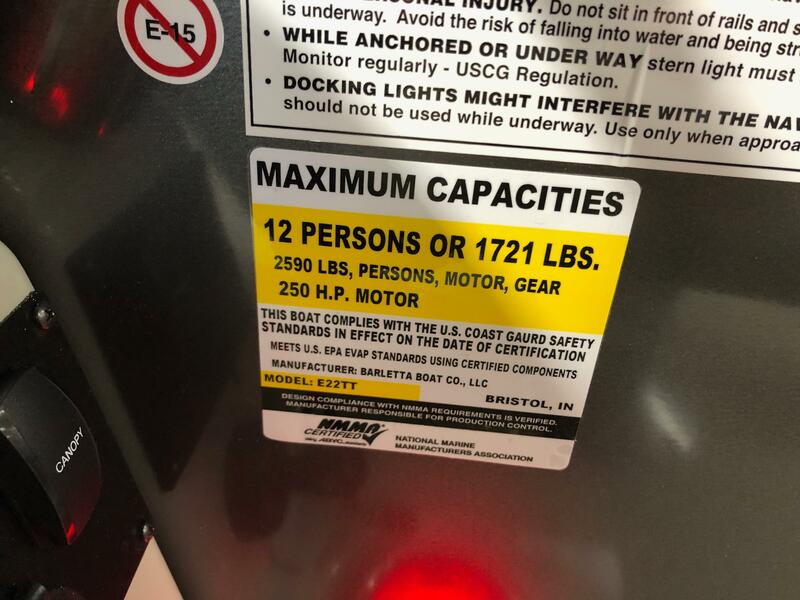 Please call us today at (513)-855-4402 with any questions you may have about this boat or any Barletta pontoons.